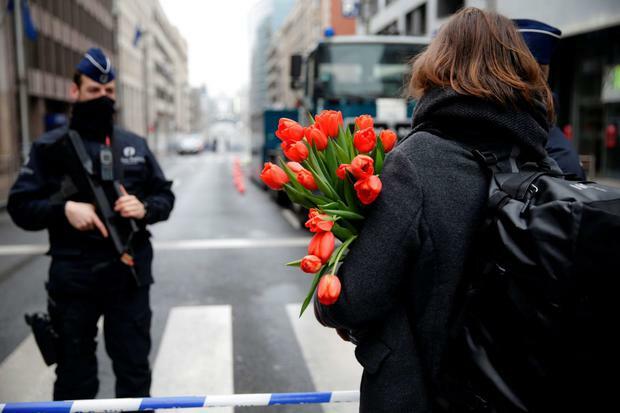 In the aftermath of the Brussels bombings last month - as was the case after last November's Paris attacks - the question was asked: what's the likelihood of a terror attack here? The Government's answer, stressed by Justice Minister Frances Fitzgerald, was clear. Ireland is not immune from terror and such an incident is possible, but not likely. This has been the State's assessment since January last year, when the threat level was upgraded by the National Security Committee from "low" to "moderate" in the wake of the Charlie Hebdo atrocity. The committee, which comprises the Garda Commissioner, the Defence Forces' Chief of Staff and high-level civil servants, meets regularly to review threat assessments. It works on the basis of intelligence gathered by the Army's G2 intelligence wing and the Garda's Crime and Security Branch. The latter is responsible for the day-to-day monitoring of extremists and terror suspects here. Recent reports indicate that 40 individuals in Ireland have been identified as either Islamic State (IS) supporters or jihadi fighters. While identifying such individuals is a key task for the Irish authorities, the scale of investigation and monitoring required - particularly in the area of electronic communications - means that the Irish cooperate with British and other international intelligence agencies. To date, reports suggest that Irish-based terror suspects have been involved in providing financial and logistical support to terror groups overseas as well as facilitating recruitment for them. Evidence of this can be seen in the fact that, according to an EU-sponsored report, around 30 Irish nationals have travelled to Syria and Iraq in recent years. While not all of these will have joined IS, fighting instead with Syrian rebel groups, such individuals are clearly of interest to the Irish security forces. Most analysts agree that the greatest threat of attack in Ireland is posed by fighters who leave Syria radicalised and make their way back to this country. Whatever their background, when alleged terror suspects have been identified, the State has been quick to act. The Department of Justice is currently battling to extradite a man of Palestinian origin, who cannot be identified, who the Department argues is the foremost Irish-based facilitator of IS fighters. The man denies being a terrorist and his case is currently awaiting judgment in the High Court. While An Garda Siochana and the Defence Forces take the lead in policing against terror threats, security experts argue that building strong relationships with the Irish Muslim community is critical, as is encouraging members of that community to raise the alarm if they suspect or know of extremism. To this end, Imam Hussein Halawa's comments that all Muslims have a duty to inform gardai if they suspect a potential terrorist threat are to be heeded. Finally, it should be stressed that An Garda Siochana and the Defence Forces have a long and successful record - established during the Troubles - of dealing with domestic terrorism. This experience, combined with constant vigilance, international cooperation and the maintenance of good relations with the Muslim community, provides the strongest weapon against terror.